Shows that the T&T system is fairly universal and can be used to run other genres. 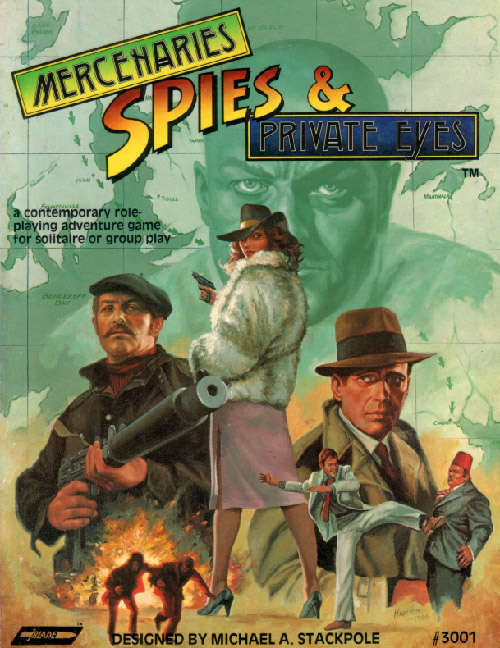 I've always wanted to use the MSPE system to run a pulp heroes campaign. Fun fact: MSPE was used as the basis for the 1988 Wasteland RPG, the predecessor to the Fallout series. That's very cool, i've been curious about this one since back in the day. I think i stuck with FGU's Daredevils myself. What i'd really love is a pdf of the Justice Inc game, a pulp campaign based on the Champions system. A related product was the awesome Lands of Mystery supplement by Aaron Allston. We got hundreds of hours of entertainment out of this game!